An artistic movement is on the rise as Lanterra Development and Studio Munge once again partner to uncover one of Toronto’s most inspiring residential communities. Complimenting the surrounding neighbourhood, Artists’ Alley is located steps away from the distinguished Art Gallery of Ontario and the ever so creative OCAD University. Inspired by thought-provoking contemporary art, Artists’ Alley mirrors the experience of walking through a world class gallery with its lobby and amenity areas designed to showcase original work from renown artists such as Damien Hirst and Katarina Grosse. 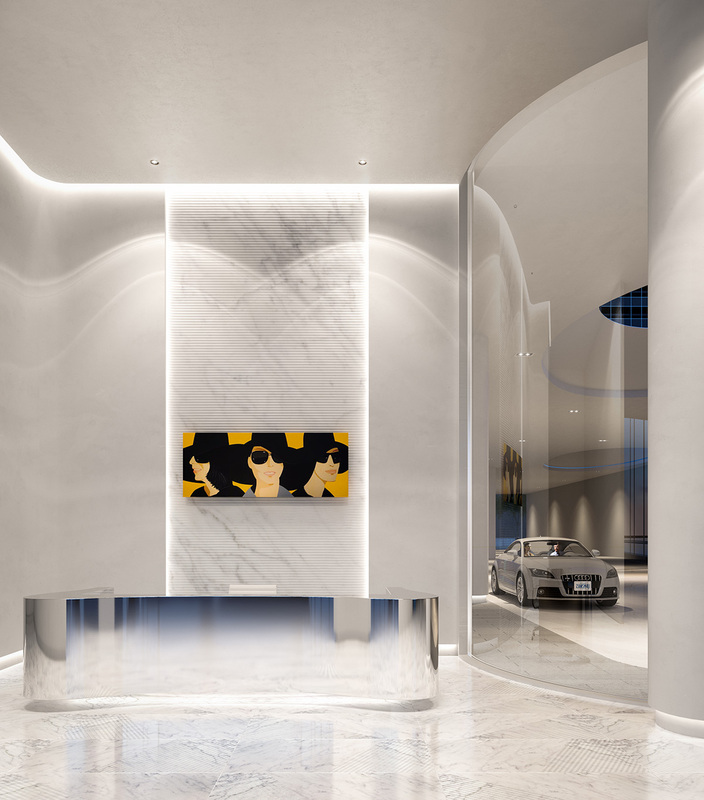 With pop art sensibilities and contemporary white finishes, the residential suites perform as blank canvases for the colourful lives of their inhabitants. Stepping through the sophisticated Artists' Alley is a masterful celebration of culture, art, and design.